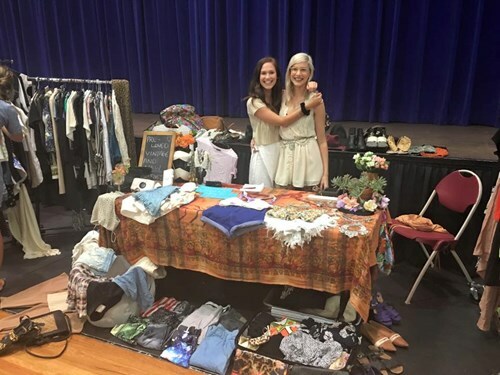 WINTER MARKET: Join our Sunshine Coast HER WARDROBE MARKET and convert your clothes, shoes and accessories to cash. This is the perfect time to clear out any coats and jackets and cooler weather clothes! Be quick to book your sellers stall! Only limited earlybird tickets available at $75. This is your chance to become a Seller at our NEXT event in June 2019! Book your Sellers Stall ASAP! Share the stall cost and come with a friend, pack up the car and set up shop with us. Turn your stuff into CASH in just one morning! We are so excited to be back on the Sunshine Coast and look forward to getting to seeing our local fashionistas again! Please join our facebook page and help get the word out to your friends, CLICK HERE. We will share the event to this page and you can invite your friends! There is an ATM a 30 second walk from the venue. It's also an ALL WEATHER venue, meaning if you book and indoor stall you won't have to deal with the wind, the sun, and the chance of rain. If you book an outdoor stall, please be prepared with a marquee in the event of rain, as the event will go ahead in all weather. SELL: As a Seller, you will be allocated a stall space. Set up your area with baskets, signs, mirrors, candles and anything else that creatively presents your clothes shoes and accessories to sell. You will be provided with a table. You will need to bring your own racks. You can buy them from IKEA, dollar stores or places like Big W if you need to. Own a boutique, online store, indie label or vintage business? Are you a maker or a creator? You're welcome to join in and come and sell on the day. Get some great exposure and build your following, by meeting a crowd of fashion-savvy shoppers. The mix of pre-loved + local independent brands is what gives HER WARDROBE the VIP factor! We will be promoting the event via the Fashionista Events subscriber database of over 40,000 clients, plus facebook, instagram, twitter and traditional media coverage. We also have the fabulous marketing support of Venue 114 who will be sending an email to their subscribers and promoting via their social networks too. We have organised thousands of fashion events, and also run the upmarket designer market called The Diva's Wardrobe, so we have plenty of experience! You can help us get even more shoppers to come to HER WARDROBE by telling your friends! Please share on facebook and instagram! As a Seller you agree to promoting the event to your social networks leading up to the event. If you want to sell at HER WARDROBE MARKETS please purchase your Sellers Ticket ASAP. Our events always sell out in record time! You bring your own racks, or you can hire ours at $20 each. We will email you the week of the event with details to hire. THIS IS A NEW OPTION - please read carefully! Please note that some table furniture is included in your stall ticket, you're able to use whatever is available in the courtyard at the time - some high tables, some low tables. We ask that you work with your neighbours so you can share the items around. If you need something specific in terms of a table, please bring it with you. Marquees are not included in your stall fee, you need to bring one to provide shade if you want one. Enough room for as many people as you want! As long as you fit within your stall space, all good! The timing of this event is perfect! It gives you all the time you need to make the sales, and you still have time to enjoy the afternoon. Sellers Tickets are non-refundable. If event is to be cancelled for any reason, another day will be chosen for the event and tickets will be transferred to that new date. Please note as a seller you agree to stay until 1pm, strictly no pack down before this time. If for any reason you can no longer make it, you are welcome to transfer your sellers stall to a friend. Please let us know their full name and email address at least 7 days before the event if you want to transfer it. We do not offer refunds if you can no longer make the event. If you have an outdoor stall please bring any tables you require, or be flexible and use furniture items in the courtyard.